(noun) a term used to describe everybody’s favourite co-worker after getting a free Yard & Coop lunch for the office. With Summer officially over *cries* we thought we’d jazz up our famous lunch menu with some new delicious options for you tuck into. As well as an AMAZING deal throughout the whole month. Throughout September the first 5 people through the door will receive their £5 lunch FREE. EVERY SINGLE DAY! So, you all know about our amazing £5 lunch by now. It’s the same price as a meal deal from your local supermarket, but its hot, fresh and delicious and aims to be with you in less than 15 minutes. Our chicken is brined overnight, smothered in buttermilk and pressure fried in our secret crumb. Its cooked fresh to order so its always juicy with a crispy flavoursome crumb. Imagine that on a dreary Tuesday afternoon, eh? 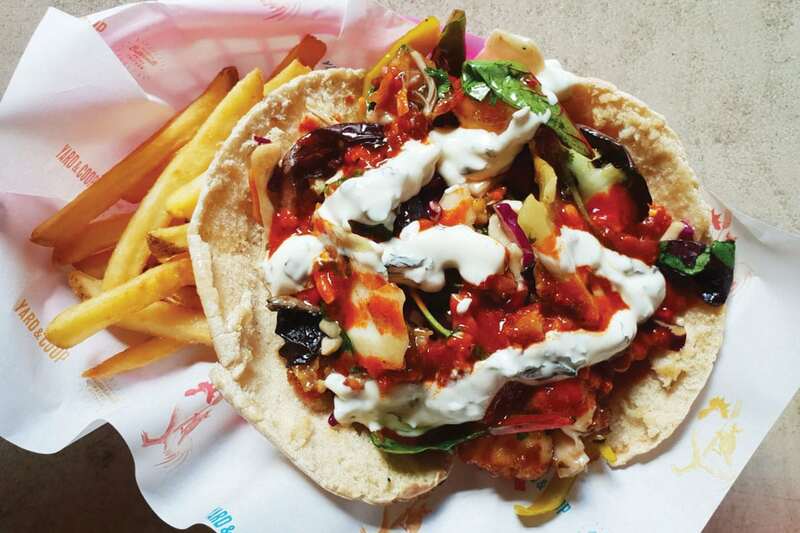 We’re always adding new lunch options so you’ll never get bored, and of course we have veggie options too! 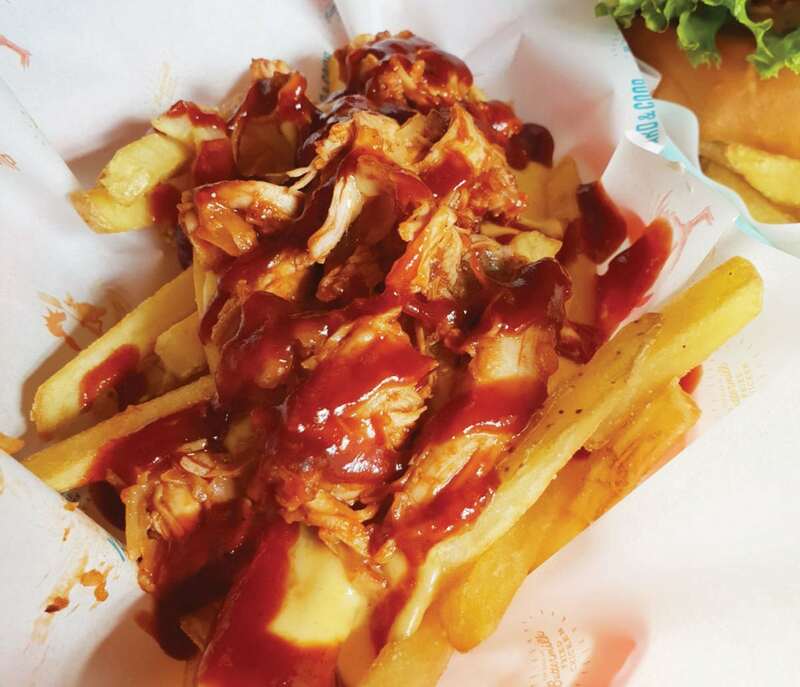 Our juicy bbq pulled chicken with salad, slaw and hash brown served on a brioche bun with fries. 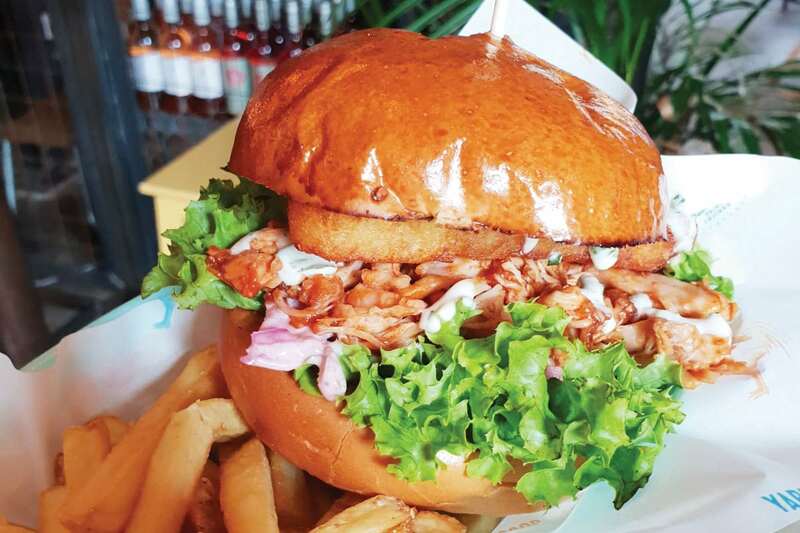 A deep fried burger made from chickpea, sweetcorn, coriander, peas and chilli smothered with our Korean sauce. A whole buttermilk fried chicken thigh with our famous Not Chicken Nuggets in a pitta, stuffed with crunchy mixed salad, chilli and pomegranate seeds. Tossed in Korean sauce and dressed with minty buttermilk sour cream and Smoking Aces hot sauce. Served with fries. 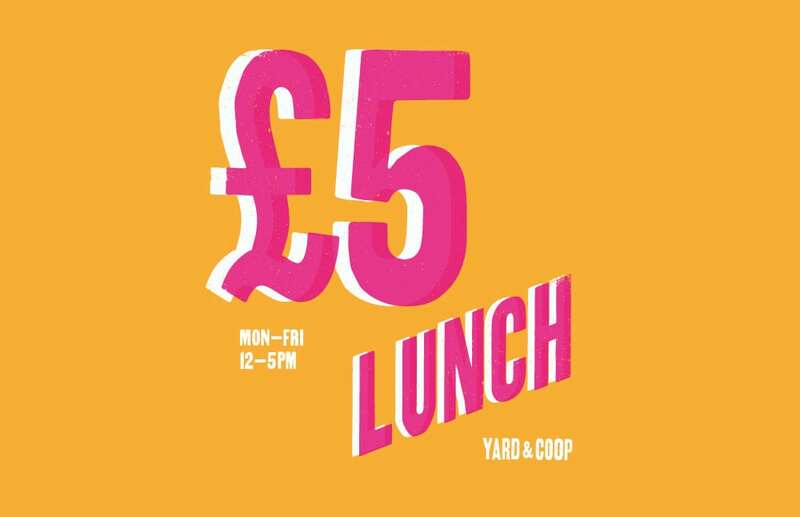 So lets not muck about – get yourself to your nearest Yard & Coop for a tasty filling lunch that isn’t gonna break the bank, and if you’re super speedy, get it for free!